Our Server Farm mainly offers outsourcing, web hosting and cloud services. In the last ten years, the cloud has revolutionized the way companies manage their IT hardware, allowing for the opportunity to work with systems without having to invest in the purchase and maintenance of servers. Nonetheless, there is reluctance in the marketplace to abandoning on premise solutions for those in the cloud. Many companies do not trust the safety of their data in the cloud and prefer traditional (and more expensive) management alternatives, in order not to leave their sensitive data in the hands of others. What do you think about these kind of worries? Why is it wrong to stay anchored to the old idea of buying "machines" and running them on your own? I don’t know if I’d say it is “wrong” but there are advantages to using a service like the Datatex Server Farm. Faced with a technological environment where there is fast and continuous change, many companies have decided to entrust the management of a part or of their entire IT function to specialists in Managed Services, allowing companies to focus on their core business and obtain concrete advantages in both economic terms and in efficiency. The cost of specialization in the IT sector is constantly growing and it is becoming more and more challenging to identify and maintain the right skills because of the perpetual changing needs that come along with the growth. Managed services provide a dedicated professional structure, operating in a very competitive setting, that is able to distribute costs and optimize skills management. Working with a server farm also can provided a steadier cash flow. The customer company avoids investing in hardware and software related to the start-up of a project, and can better plan investments because it works with an outsourcing flat-rate contract. Also, this mitigates the risk of unknown costs that occur with hardware purchases. 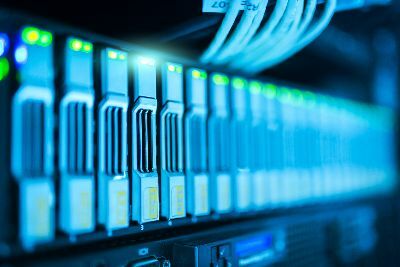 While some have fears about the security of data when using a hosted provider, it is likely that the security measures and protocols followed on the server farm are greater than a private company. The vulnerability of companies related to cyber-attacks of all kinds makes it necessary to have an adequate level of data protection both at the perimeter security management level, back-up policy and restore level and on a physical level. From this point of view, outsourcing is the only answer able to reduce the level of risk and costs at the same time. As regards the issue of data privacy and the (unfounded) fears that some have in "leaving their data in the hands of others", it is important to clarify a couple of points. First, an outsourcing contract contains strict security clauses and data privacy, and secondly, the activity of the staff of the Farm is limited to the management of the hardware and operating systems, without ever entering into the merits of the content of the data. Datatex Server Farm also offers Disaster Recovery services and applications that can be used in Saas (Software as a service) mode. What is it? What are the advantages for the customer? The Disaster Recovery solution proposed by Datatex helps its customers to identify the most suitable systems, infrastructures and procedures to design an optimized DR plan.  Datatex can support their customers in the requirements analysis phase, to the planning phase, to developing an implementation plan for the move to a hosted environment, to the tests on procedures and systems. The Datatex Network provides a "Disaster Recovery Site" for a "cold" recovery, which allows you to take advantage of an effective solution at low cost. The Disaster Recovery plan includes the definition of critical applications and an estimate of the hardware configurations and the number of users required to allow the business functions to work in an emergency. In order to be ready in case of emergency, we plan a periodic simulation of Disaster Recovery. The advantages for the customers are clear. In the case of a "disaster" situation affecting their infrastructure, there is the guarantee of being able to resume work in a very short time. For the applications used in Saas mode, users do not pay for the possession of the software but for its usage. The Datatex Network is able to offer the Cloud application software NOW, which becomes so accessible via web without having to install anything on their servers. The Server Farm is a very special environment. For security reasons it is armoured and isolated from the rest of the company, it looks almost like world apart. What are the empirical characteristics of Server Farm? How does it feel to work in this seemingly rather eccentric place compared to "normal" offices? One of the priorities of each Farm is security, both logical and physical. This is why physical access to our Farm is a bit "complicated." In our Farm there are two different areas, the offices and the data center. Physical access is protected with systems control (such as badge and numeric keypad) and is only permitted to employees of the Farm. The engine room is then "protected" with redundant power systems, air conditioning and fire protection. This does not mean we are in a "bunker." It is actually quite conducive to work. What were - and what are - the most interesting experiences with Datatex customers? Which are - professionally - the moments of greatest satisfaction you had? Are there any successful cases you want to tell readers? During almost twenty years of activity, Datatex Server Farm has dealt with projects of various nature and complexity. Many important customers have made use of our structure over the years, and among the many I'm glad to mention here the names of Reebok Italia and Calzedonia.